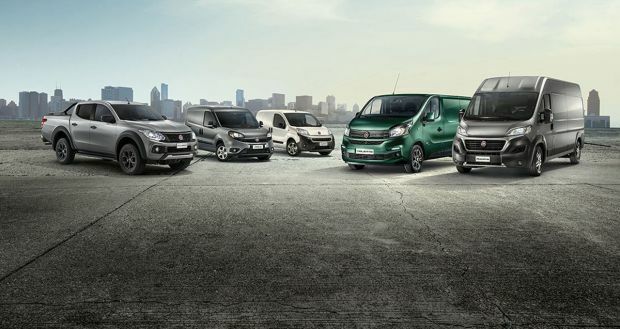 On its stand, Fiat Professional presents the complete range of commercial vehicles, each complete with an outfit designed and created for a specific use, to support customers in every aspect of their business. Ducato: the Fiat Professional best seller and undisputed European market leader presents all its versatility at Hanover; from the food truck version to the MEC (Mopar Express Care) mobile workshop, to the tractor cab and the chassis cowl, designed and supplied as the basis for many outfits, including motorhomes (70% of all motorhomes sold in Europe are built on a Ducato base), not to mention vehicle recovery trucks, light vehicle transporters, horse-boxes and mobile stores. After all, Fiat Professional works with the top European equipment firms, including AL-KO, industry leader in special chassis construction. The market’s largest environment-friendly range is there: alongside the Ducato Minibus Natural Power, the offering for sustainable transport is completed by the Doblò, here in long wheelbase version, and the agile Fiorino, both in Natural Power configuration running on natural gas, which confirm FCA’s leadership in the sale of CNG vehicles, with more than 720,000 passenger car and commercial vehicle registrations. To complete the Fiat Professional stand, the fascinating Fullback Cross Concept by Garage Italia and Talento Shuttle by Irmscher. Both versions express lifestyle character and versatility, providing top performance in the daily grind and making the most of every moment of the day. The Hanover show also sees the launch of Mopar® Connect Fleet, a set of automotive services dedicated to the fleet management and safety of FCA vehicles for the fleet managers of small and medium enterprises. At Hanover, Fiat Professional exhibits eight vehicles representing its wide, well structured range, which covers every working mission, thanks also the immense versatility in vehicle equipment. So this is a “full liner” offering, with the right answer for all passenger or goods transport mission needs because all segments are covered, from car-derived vans to large vans and pickups, with all body types, load capacities and volumes, not to mention a complete choice of wheelbases, widths and height variants, in addition to high-efficiency engines and various fuels options (petrol, diesel, LPG and methane). The star of the Fiat Professional stand is the fascinating Fullback Cross Concept by Garage Italia, an original concept vehicle created in partnership with Lapo Elkann’s creative hub. On the outside, the show-vehicle features a distinctive Green/Bronze two-tone livery, highlighting the bronze mirror caps and the 17″ Black Matt wheels, combined with the original “Elmo Vintage” brown leather interior. Just a touch of a button switches from two-wheel drive mode, ideal for fuel-saving, to all-wheel drive with a Torsen central differential for off-road use. 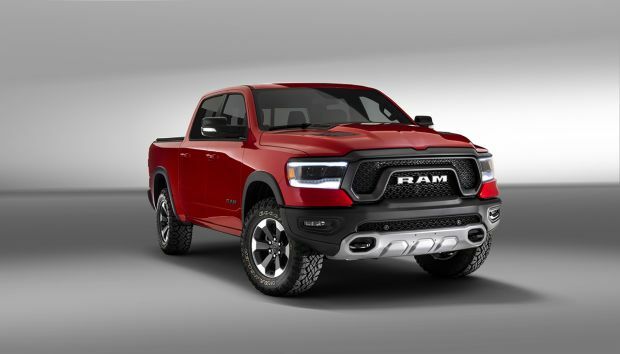 In addition, Fullback Cross offers the option of low-range gears and, for the most extreme terrains, mechanical locking of the rear differential. Alongside the Fullback Cross Concept by Garage Italia, the Talento Shuttle customised by the German firm Irmscher, a specialist in racing and functional conversions. Available from next month, this version confirms the model’s vast flexibility and its natural predisposition for exclusive airport car-park or hotel shuttle services; it is an exceptionally versatile vehicle thanks to its four single rear seats and completely reconfigurable layout. The vehicle on display is built on the base of the Talento Sportivo special series, launched a few months ago, and features several stylistic details that accentuate its look. Starting from the metallic black livery, highlighting the large 18″ Matt Black wheels, the side-steps and the roof spoiler in the bodywork colour, not to mention the Matt Black front spoiler with red insert. The athletic look is further reinforced by the sporty setup provided by special lower-level shocks. The special Talento exhibited at the show can carry up to 6 people, including the driver, and has a very high-class interior with attention to every detail to ensure every occupant the greatest travelling pleasure. For example, the interior is in “Total black” with black dashboard and silver painted instrument trims, with four elegant independent rear seats, which are shaped, upholstered throughout in leather with red stitching and equipped with individual armrests. They are also swivel and sliding thanks to mounting on runners: this allows the whole of the passenger space to be used and transformed exactly as preferred. Last but not least, there is a convenient little opening table between the two rows, which can be removed if required. The interior of this unusual Talento Shuttle is completed by the window bottom trims and the black leather interior finishes with red stitching. Exhibited in the Combi passenger configuration, with long wheelbase and low roof (L2H1), the Talento not only has an attractive, dynamic line but also provides unrivalled, completely reconfigurable space for its passengers, able to carry all their luggage. 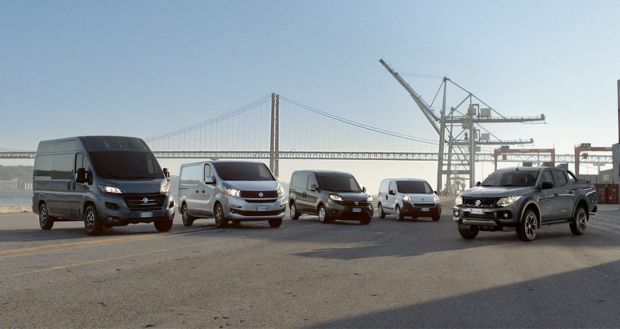 The conversions of Ducato, the Fiat Professional best seller with more than three million units sold. At Hanover, visitors will be able to admire two Ducato-based vehicles which prove the immense versatility in use of Fiat Professional’s best-selling model. The stand will feature a Ducato converted for street food businesses with black livery, grey interior and 130 HP 2.3 Multijet2 engine. Alongside it, the famous MEC (Mopar Express Care), the vehicle on a Fiat Ducato base equipped as a real mobile workshop, with reception, diagnosis and operating areas. The display at the Hanover 2018 International Show is completed by a back-to-back show vehicle consisting of two Ducato tractor cabs, designed and supplied as base for the many motorhome versions in which Ducato is market leader (70% of all motorhomes sold in Europe are built on a Ducato base), as well as special versions such as vehicle recovery trucks, light vehicle transporters, horse-boxes and mobile stores highlighting the model’s distinctive stylistic, technological and engine design features. The vehicles exhibited confirm the potential of Ducato – and all the other Fiat Professional models – for equipment for countless specialities for passenger transport and the vehicle conversion world: from shuttles to assisted mobility, from mobile workshops to truck body vehicles, from insulated to refrigerated vehicles, and from recreational motorhomes to Local Government vehicles. 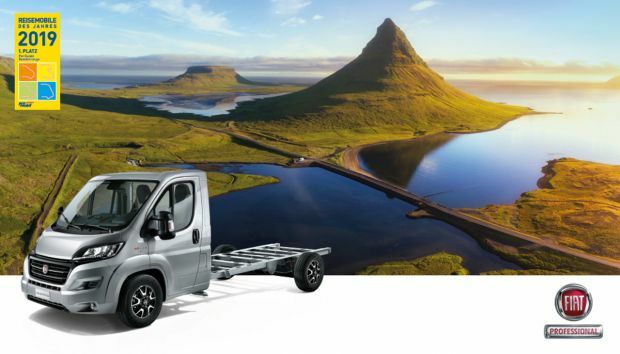 In brief, there is no limit to the jobs and mobility need that can be satisfied by a converted Fiat Professional vehicle, as demonstrated by the collaboration with the major European outfitters, including AL-KO, industry leader in special chassis construction. FCA has been European leader for over 20 years in the sale of petrol/natural gas dual fuel vehicles with over 720,000 cars and commercial vehicles registered. 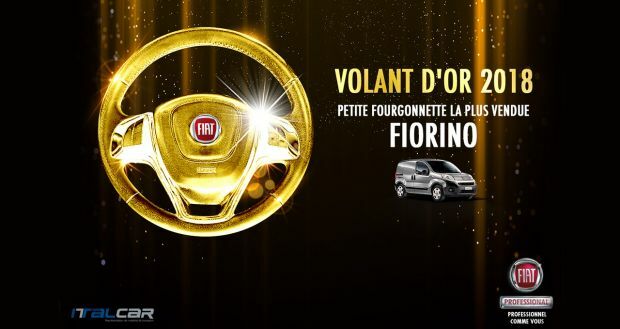 The Fiat Professional comprises five models: Fiorino, Doblò Cargo, Ducato, Ducato Panorama and Panda Van. Three CNG vehicles are on display at the Hanover show. The first is a Ducato Minibus equipped with the low environmental impact 3.0 Natural Power engine running on natural gas, which delivers power of 140 HP and peak torque of 350Nm: with a range of about 400km, it is a useful alternative to the conventional diesel engine with totally comparable power and payload characteristics. Another special feature of the vehicle on show is its configuration with 14 seats (including the driver) which, together with the 9-seater Shuttle and 17-seater Minibus versions, completes the Fiat Professional best-seller’s range for all types of passenger transport missions: in addition to being the ideal vehicle for hotels and sports clubs, for urban and extra-urban mobility and for medium- and long-range tourism, it is perfect for companies specialised in assisted mobility. Type-approved as a category M2 vehicle with total permissible weight of 4.3 tonnes (uniquely amongst front-wheel drive vehicles), the Ducato Minibus exhibited at Hanover has a wheelbase of 4,035 millimetres, combined with the high roof (H2) and a length of 5,998 millimetres (L4), giving 14 seats. The equipment, chosen to offer the very best in passenger comfort, includes passenger seats with 13-degree reclining backrest, LED daytime and night lighting, a parcel shelf on each side, with storage compartments and individual LED lights, speakers, individual vents and two USB charging stations for each row of seats. The Fiat Professional stand also displays a Doblò Cargo Natural Power equipped with natural gas-petrol dual fuel 1.4-litre 16V T-JET Natural Power engine which produces a maximum power of 120 HP (both when running on petrol and on methane) and progressive torque values (206 Nm at 3000 rpm). Hence, gear flexibility is high, with reduced use of the 6-speed transmission, for an enjoyable and relaxing drive. It takes just a touch on the accelerator for a nifty response, helped by the reduced inertia of the turbocharger. This vehicle is therefore responsive to both environmental and business needs: all the cargo section volume is retained intact, since the natural gas cylinders are installed underneath the floor. The total capacity is 95 litres, equal to about 16 kg of natural gas, for the short wheelbase versions equipped with 4 cylinders (the long wheelbase Cargo versions have 5 cylinders which contain 130 litres/ about 22 kg of natural gas), supplemented by the 22 litre capacity of the petrol tank. The vehicle on display also features a whole series of equipment suitable for various business needs, such as a modular shelving composition which can be installed on both sides of the vehicle, with storage compartments, shelves and drawers. What’s more, compared to the diesel version the volume is exactly the same: up to 4.6 m3 with a record-breaking payload of up to 980 kg. Last but not last, the stand at the German show also displays the Fiorino Natural Power, with 70 HP 1.4 8v natural gas-petrol dual fuel engine, ensuring a total range of more than 900 km, in a metallic light grey livery with matching interior. The natural gas is loaded in two steel cylinders located under the floor, with a total capacity of 77 litres (the equivalent of about 13 kg of gas). The cargo section, perfectly level and uniform along its entire length, allows optimal use with a volume of 2.4 m3 with swivel bulkhead and a payload of 500 kg (including the driver). The other engine versions confirm that the vehicle is perfect for urban use thanks to its compact size which makes it agile in traffic and easy to park, in spite of its impressive load capacity of up to 2.8 m3 and payload of up to 610 kg, making it unique in its class in terms of running cost, comfort and functionality. The three Fiat Professional CNG vehicles therefore confirm FCA’s constant attention to environmental issues through the research and development of tangible solutions for improving performance and reducing consumption, combined with ecological and economic sustainability. Moreover, OEM vehicles, that is original equipment vehicles which are assembled in the factory already with modifications to the chassis made according to dedicated technology, are subjected to crash and emission tests just like conventional vehicles and can boast the highest standards of comfort and safety. With the added bonus that today natural gas is a smart, environmentally sustainable vehicle fuel option. It is ecological, safe, practical and inexpensive. Its use provides a 43% reduction (when mixed with biomethane, on the well to wheel principle) in CO2 emissions with a 94-95% decrease in nitrogen oxides (NOx) and fine particles (PM). What’s, more, natural gas powered vehicles are permitted entrance to town centres with environmental traffic restrictions and can use underground car parks and ferries. Mopar® Connect is the innovative set of vehicle safety and remote-control services, which can be configured on the vehicle as an optional at the time of purchase but is also available as an aftersales feature. More in detail, Mopar® Connect integrates with the Uconnect LIVE services (where provided) and adds new functions such as roadside assistance, including crash assistance, or vehicle location in case of theft. The system can also be used to control some of vehicle functions remotely, like sending an alert if the vehicle exceeds a certain speed limit or leaves a zone previously delimited on a map or locking and unlocking the doors. Finally, Mopar® Connect enables users to locate their parked vehicle easily and see information about its state, fuel level and battery charge on their smartphones. In short, Mopar® Connect offers greater safety, tranquillity and non-stop control over vehicles. To respond to different types of customers – from retail customers to businesses – Mopar® Connect offers services with bespoke solutions. For instance, Mopar® Connect Fleet is available for corporate and/or commercial vehicle fleet managers, which, in addition to the basic functions, can be used to monitor and manage fleets very safely and effectively through a portal created by Targa Telematics. Available in two versions (Basic and High), the innovative Mopar® Connect Fleet uses a simple and user-friendly interface, directly accessible by Fleet Managers via smartphone and PC, to control all activities and monitor service, maintenance and support statuses for each vehicle. Mopar Connect Fleet is available from the FCA Authorised Network. FCA Bank, the Fiat Chrysler Automobiles and Crédit Agricole S.A. captive bank, has always been ready with solutions to the needs of its business customers. As the Brand’s financial partner, it offers a complete package of financial products for freelancers, firms and private clients. They can all be combined with exclusive insurance packages with high value added to satisfy every mobility need. to Long Term Rental – through Leasys, for those seeking solutions without the constraints and costs of vehicle ownership. Also on offer are competitively priced more conventional Hire Purchase packages, to be combined with insurance services, for a driving experience with total peace of mind and without tying up customers’ capital. The financing solutions described are available across all European markets where FCA Bank is active.